Lyn Gardner: Is the Edinburgh Fringe revaluing the standing ovation? Twenty years ago, the standing ovation was almost unheard of in British theatre. Even on press nights, giving a standing ovation was the exception rather than the rule. But now it’s rare to see a show in London where somebody doesn’t stand up at the end. Even if it’s only the playwright’s mum. Like with star ratings, which have spread across British theatre reviews, I suspect it was the Edinburgh Fringe that began the fad for standing ovations. Perhaps because of the high proportion of US theatre students in the city during the fringe, many of whom were used to seeing Broadway shows where standing at the curtain has long been ubiquitous. It’s not always easy to gauge why those taking part in an ovation are on their feet. Are people actually standing up to clap because it’s the best thing they’ve ever seen? Or merely because everyone in the row in front of them has stood up and they now can’t see the curtain call so feel obliged to stand too? Earlier in the year Mark Shenton asked if standing ovations were getting out of hand, as they have become standard at so many performances. He suggested, and I reckon there may be some truth in it, that as ticket prices rise the standing ovation becomes an act of self-validation to help you persuade yourself that your money has been well spent. I have always thought one of the reasons for the spread of the standing ovation was the release of hormones that the physical activity gives you after sitting down for a couple of hours. It makes you feel better and therefore you feel better about the show. But I wonder if there is a trend emerging in Edinburgh in which more people are staying firmly in their seats at the curtain call. 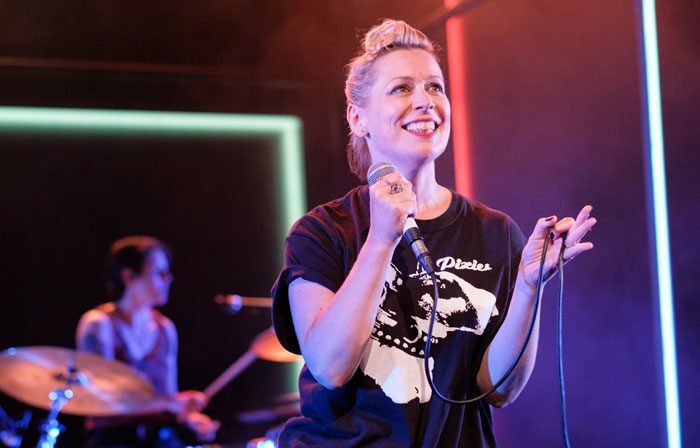 I have seen a few shows where the odd person in the audience got to their feet to applaud (and I admire that) but only two – Cora Bissett’s What are Girls Made Of and David Ireland’s Ulster American – where most of the audience has risen as one. Of course, the reason could simply be that I’ve seen more than my fair share of so-so shows. But in a city where there are so many performers and theatremakers, I am inclined to think it is something else. That it is an overdue recognition that the standing ovation has become devalued and it should be saved for those moments when you have seen a genuinely knock-out show. It’s perfectly possible to show support for all involved by staying seated and it means when you do rise to your feet it genuinely means something. The fringe is pretty much the only time of the year when I see not just one show a day but sometimes as many as six. The problem for the critic in Edinburgh is that while you want quality over quantity, the only way to find the good stuff is to see a lot of shows on the off chance of uncovering a gem. It can be tricky seeing so much work every day over three long weeks. And there is a danger that the lack of time means critics can’t fully process what they’ve seen before rushing into the next thing. The walk between venues can be invaluable in helping you do that. Nonetheless, it is too easy to misjudge work in these circumstances, and one of the things I am enjoying this year is trying to allow a couple of days to elapse after I’ve seen something before writing about it. In the age of Twitter, the days are long gone when the only way you can tell people when you’ve seen something really great is in print. Journalists on the fringe used to jealously guard the best shows they had discovered, hoping none of their colleagues would find it until they could get a review published, which might take several days. Days when that show may not have got the audience it deserved. Now, if you see a brilliant piece you can shout about it loudly, and I think we should.